The province said this summer it was halting the opening of new overdose prevention sites while it conducted its review, and said it would announce its decision by the end of September. Ontario's health minister, Christine Elliott, said in a statement late Friday afternoon that she has received data on the sites and held consultations on the issue, and is in the process of finalizing her recommendations. She did not say when a decision would be announced or how long of an extension she sought. 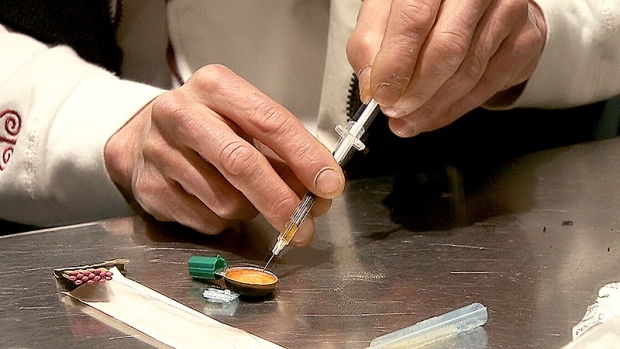 Overdose prevention sites are approved by the province following a federal decision to grant the province an exemption under the Controlled Drugs and Substances Act. They are temporary facilities set up to address an immediate need in a community. Safe injection sites, meanwhile, are more permanent locations approved by the federal government after a more extensive application process. More than 3,800 people died from opioids in Canada in 2017, compared to 2,978 in 2016, according to the latest figures by Canada's health agency published last June.